The New Year is well under way and we hope you are managing to stick to any resolutions or goals you have made. 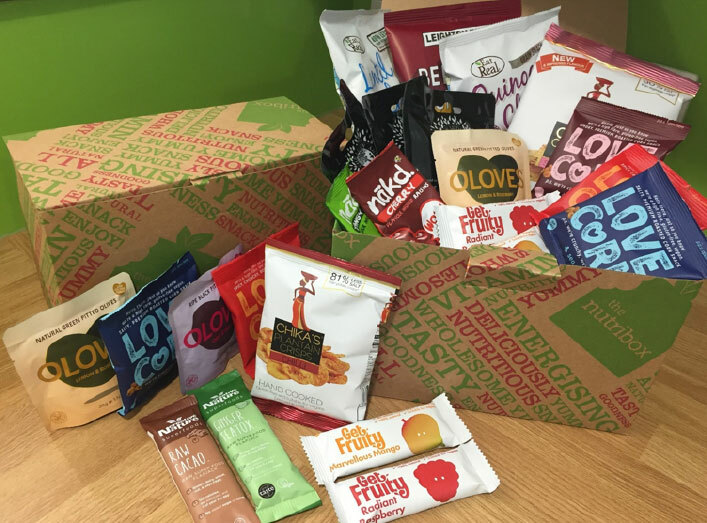 At Officedrop we believe in making positive changes rather than sticking to restrictive diets and our Nutribox is the perfect way to swap your normal snacks for healthier alternatives. Ludlow are a small artisan producer of healthy, award winning food, using only the finest, natural ingredients. Their mixes are an ever-popular staple of our Nutriboxes. OLOVES bring you the tastiest natural olives, freshly packed in a range of delicious flavours. This month you’ll see the Chilli & Garlic and the Lemon & Rosemary packs making an appearance. We really cannot get enough of these delicious snack packs! Creative Nature believe products that claim to be healthy should also be tasty, and we couldn’t agree more. We have included their Raw Cacao bars for the chocoholics and the Goji Goodness bars for the fruit lovers. These bars have no added refined sugar, are gluten free, vegan and 100% natural. Get Fruity try to use as few ingredients as possible whilst still producing delicious flavour. We have the Mango and Raspberry flavours in this box. CHIKA’s are inspired by their West African heritage and their flavours really reflect this. They also work to create meaningful change in the communities from where their inspiration is drawn so you can feel even better about your healthy snack choices! We have included the Plantain Crisps and Smoked Chilli Chickpea Crisps. LOVE CORN say that their mission is to make their customers smile and make roasted corn your favourite snack. They’re doing a good job as we adore these roasted corn snacks. Eat Real make all our snacking dreams come true. They have such a wide range of chips that you can always find something you fancy. All their snacks are made from real, natural ingredients with no added nasties. We’ve picked their Quinoa Chips and Lentil Chips for this Nutribox. Finally, we have Leighton Brown’s Beetroot Crisps. These crisps are crafted from select red and golden beetroot, then hand seasoned with horseradish and dill. The perfect alternative to the traditional potato crisp. We hope you enjoy our selection. We’re off to raid the snack cupboard….